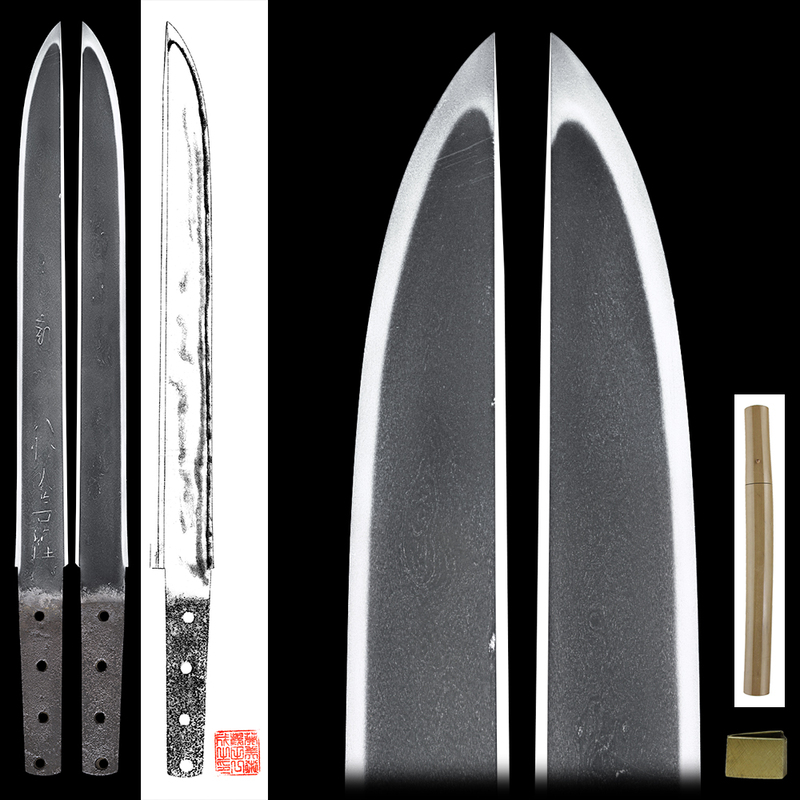 Blade length : 26.0 cm or 10.23 inches. Width at the hamachi : 2.45cm or 0.96 inches. 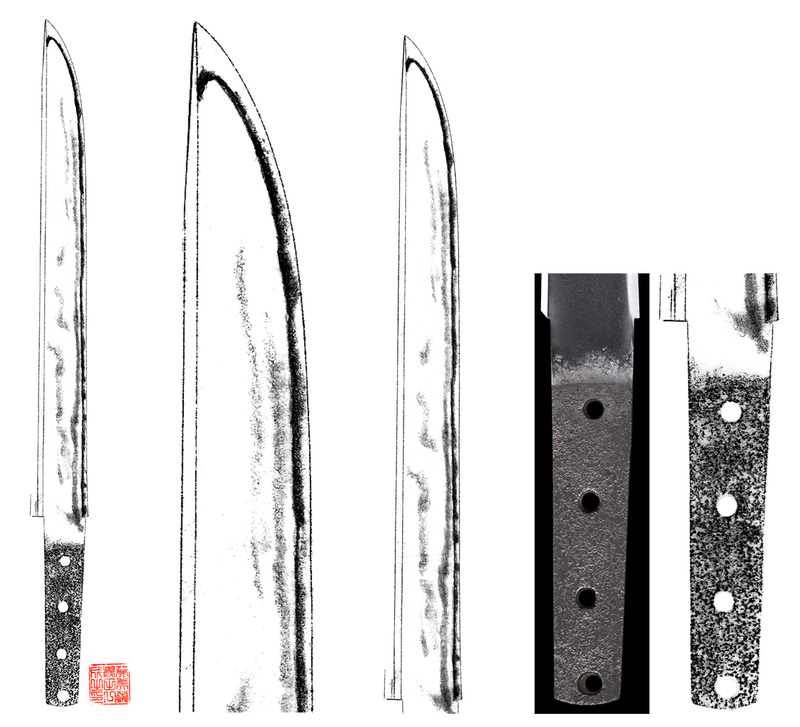 Shape : The blade is rather wide and nice shape. On the urea side, a bonji and some words are engraved Hachiman Daibosatsu which is religious words. Jitetsu : Koitame hada well grained with jinie attach and chikei work strong feeling nice Jigane. Hamon : Niedeki suguha with small ash work. 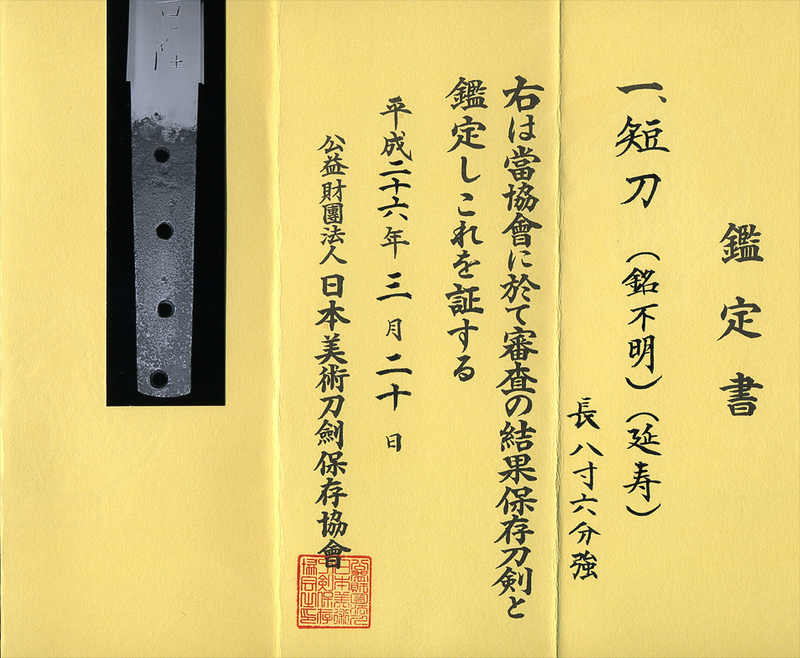 and educated some sword makers like Kunitoki, Kunitoshi, Kuniyasu. and Kuniyosi. 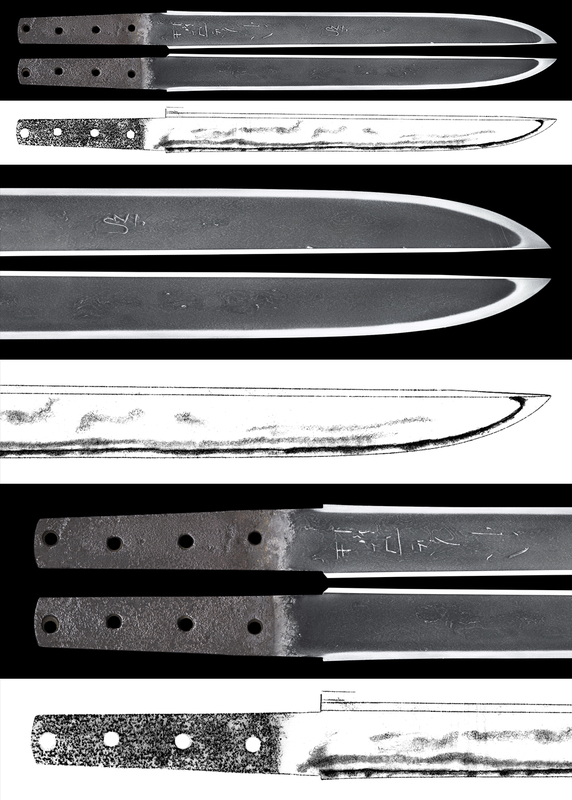 So the swords are as sama as Rai school. and also shallow Kaeri(return Hamon), NBTHK decided to appraise this sword as Enjyu. The founder of Enjyu school was a grandson of Rai Kuniyuki (Taro Kunimura) and prosper by Kunitoki, Kunimura, Kuniyasu and also Kunitsuna which succeeded Rai style. Koshirae : Clouds issaku Aikuchi Koshirae. Fuchikashira : Clouds are engraved by syakudo plate. Saya : Black brown color unusual shape. Menuki : A shish dog is engraved by shakudo plate. Price (credit card) : JPY 550,000-.